We are trying to figure out best practices for the response time / invitation for our services on Sunday morning services. Would you mind sharing some of the Summit’s approach and practices? I’m sure there are a few wrong ways to do an altar call (calling people out and telling them they need to come pray pops to mind), but there are lots of right ways to do it as well. Any opportunity you give people to respond to a message they’ve just heard…well, that’s a good opportunity. So the following isn’t the way, but it’s a way. The way that we got here evolved over time. 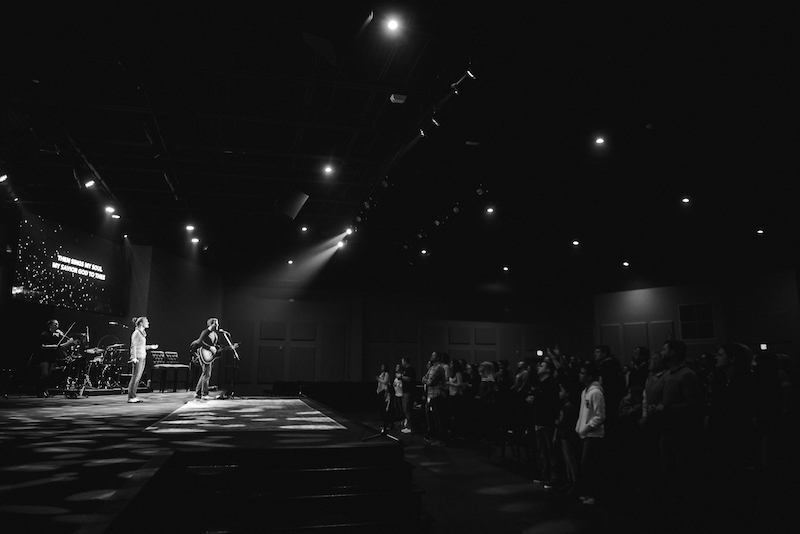 There was a point – back when we were in a single location – that the auditorium was so packed out that a “come down front” altar call was virtually impossible. We’d packed people on makeshift rows where knees were almost touching the stage, so it was hard for knees to hit the ground in front of the stage. However, we knew it was important to have some chance to ask for help on a spiritual decision or to make that decision known. So now – many years after that single site – we give some sort of action step from the message. Most prayer and next steps takes place at the area directly in front of the stage, but counselors have the option to go to a more private location if they feel that is necessary. The trickiest part of this is making sure that if the decision needs follow up, the prayer team either (a) follows up personally or (b) gets good information in order to allow others to do so. Different campuses handle these needs in different ways, but the moral to the story is, there needs to be a record. Each week we see people make meaningful, significant decisions as a part of their faith journey. How do you handle the altar call? Comment below.